If you’ve got a Muscle Car or street/strip performance car, TEN Factory Rear Axle Kits come complete with two axles, bearings, seals and wheel studs. These are tougher than stock axle shafts, forged from 1541H High Manganese Alloy and induction heat treated to our exacting specifications. 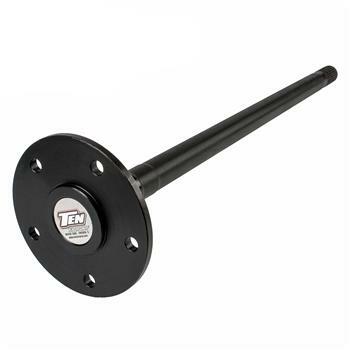 And of course all axle shafts are backed by our Exclusive TEN-Year Replacement Warranty should you ever break an axle shaft. Most kits are black oxide coated.